NEW YORK – Kia NBA Most Valuable Player Stephen Curry of the Golden State Warriors and forward LeBron James of the Cleveland Cavaliers lead the 2015-16 All-NBA First Team, the NBA announced today. Curry is the only player to receive First Team votes on all 129 ballots, earning First Team honors for the second straight year. James (125 First Team votes) has been named to the First Team for the 10th time in 13 seasons, tying seven players for the second-most selections in NBA history. Curry helped the Warriors (73-9) to the best record in NBA history and won the Kia NBA MVP Award for the second year in a row, joining Magic Johnson, Michael Jordan and Steve Nash as the only guards to earn the honor in consecutive seasons. Curry led the league in scoring (30.1 ppg), three-pointers made (an NBA-record 402), free throw percentage (90.8) and steals (2.14 spg), along with averaging 6.7 assists and a career-high 5.4 rebounds. He shot a career-high 50.4 percent from the field, the NBA’s highest mark among guards, and made 45.4 percent from three-point range, good for second in the league. Curry became the seventh qualifying player in NBA history to shoot at least 50 percent from the field, 40 percent from beyond the arc and 90 percent from the foul line. 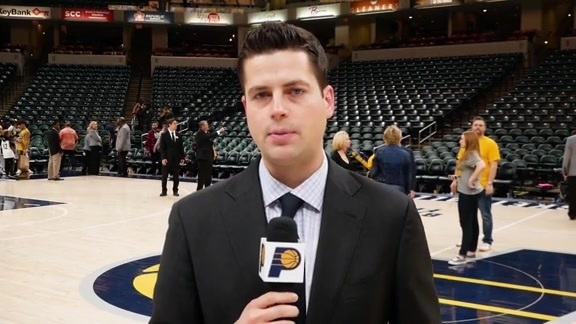 For the third year in a row, complete media voting results for each NBA annual award will be posted on NBA.com/official after the announcement of each winner. James Harden, Houston, 106; Paul Millsap, Atlanta, 84; Anthony Davis, New Orleans, 76 (1); Al Horford, Atlanta, 76 (2); Karl-Anthony Towns, Minnesota, 44; DeMar DeRozan, Toronto, 26; Hassan Whiteside, Miami, 24 (1); Isaiah Thomas, Boston, 20; Pau Gasol, Chicago, 16 (2); Jimmy Butler, Chicago, 12; Dirk Nowitzki, Dallas, 8; John Wall, Washington, 7; Kemba Walker, Charlotte, 6; Tim Duncan, San Antonio, 3; Gordon Hayward, Utah, 3; Dwight Howard, Houston, 3; Carmelo Anthony, New York, 2; Marc Gasol, Memphis, 2; Andrew Bogut, Golden State, 1; Blake Griffin, Los Angeles Clippers, 1; Brook Lopez, Brooklyn, 1; Tony Parker, San Antonio, 1. 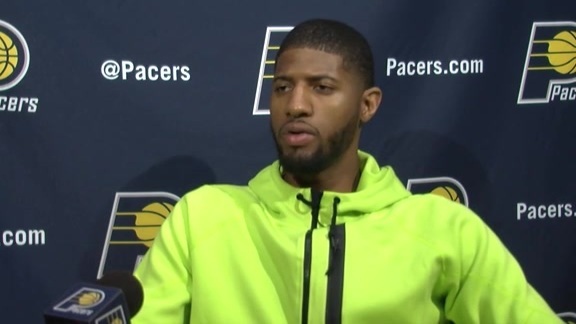 Pacers forward Paul George reflects on his 2015-16 season and shares his plans for the offseason. 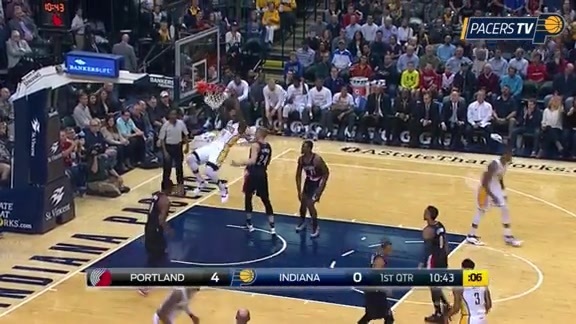 Check out these top plays from Pacers All-Star forward Paul George's 2015-16 season.